In addition to Australian Temporary Wire Mesh Fence and Canadian Metal Mesh Fence, our factory also provides a temporary fence. It is made up of hook and iron pipe. The surface treatment is commonly used for hot dip galvanizing, corrosion resistance and durability, which is very popular with customers. In addition, our factory also produces Welded Wire Mesh and Cattle Fence , quality and price concessions, welcome to purchase. 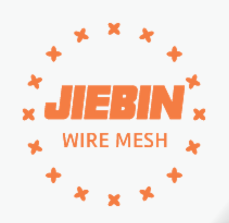 Hebei Jiebin Wire Mesh Products Co., Ltd.---Your Best Friend And Business Partner. Here we supply High quality Steel Fence , Wire Mesh Fence , Rebar Tie Wire , 358 Fence , Palisade Fence , Farm Fence , Temporary Fence, Gabion Mesh , Barbecue Grill Mesh, Perforated Metal Mesh, Stainless Steel Wire Mesh, Cattle Fence, Kraal Network , Welded Wire Mesh and kinds of wire mesh and metal products with competitive price. Looking for ideal Temporary Mesh Guardrail Manufacturer & supplier ? We have a wide selection at great prices to help you get creative. All the Chain Link Temporary Fences are quality guaranteed. We are China Origin Factory of Chain Link Mesh Temporary Fence. If you have any question, please feel free to contact us.